Recently, I have been visiting my parents for a few days at a time in Amish Country. I wasn’t raised here. They moved here a few years ago. But I remember the days when Chester County, Pennsylvania, was similar in landscape: rolling hills of undisturbed cornfields and cows. My life in Boston is much more densely populated and busy. Horses and buggies are a welcomed sight after highways of minivans, Mercedes, and Land Rovers. I have to admit: This started out as an idea of taking each child on a fun road trip, one at a time, to get some quality time with their grandparents, to make individual memories. But it also metamorphosed into more selfish reasons: Coming here is like a retreat, a respite. I could hole up here for weeks reading, writing, and conducting small amounts of business from an Adirondack chair facing farmland and Amish laundry hanging straight on a line. Peace and rest. Order. Clean air. Quiet countryside. As I was trying to snuggle under some incredibly warm and enduring afghans from my childhood on my parents’ couch, my father came over and asked if I would like to be tucked in. He had seen that the afghans were slipping from the smooth leather couch onto the floor, and I clearly was in need of being wrapped like a bed burrito. He was happy to oblige. Backing up a bit, Dad is recovering from bladder cancer. I guess a more accurate way of putting it is that he is recovering from bladder removal. Cancer has become his frequent, persistent, and most nagging companion over the course of 34 years. So not only is my recovering father tucking me in with his bladder bag saddled to the side, but he was caring for me, the one with fewer years and better health. And it is a picture I simply cannot get out of my head. Because God tucks us in that way. God is a Father Who loves this way. God offers protection under His wings, rest for our souls. I’m 42, and my earthly father can still wrap me to sleep on the couch. I’m 42, and I still desperately need my heavenly Father to wrap me in His shadow and under His wings. I will never grow out of that need. The key is that we must remember that we are welcomed to be that child nestled under our Father’s strong arms and wings of protection. He loves having us there. Mom actually made those afghans many years ago. In her own way, with those afghans, she comforted feverish children, covered chilly knees and feet on cold winter nights, brought warmth to a 44 year old man convalescing from radiation in 1981, kept the chill off the 95 year old matriarch of the family as she watched Lawrence Welk. That afghan is family history from start to finish. It spans time and memories. It warms the soul and invites those needing the deepest of rest. Like God, it knows our history and covers us in spite of it—when we trust Him and in Him. Doesn’t that sound so inviting? So nourishing? 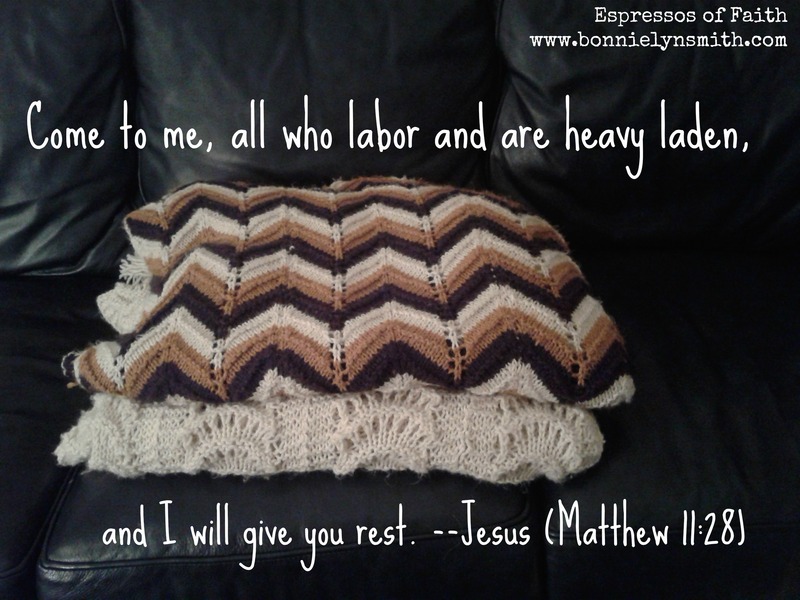 The verses that follow show the Truth of what God offers us, and it’s so much more than an aging, cozy afghan on a slippery couch. It is ours just for crying out and being willing to submit to a Father in heaven Who wants to be our Loving Parent in the most significant and hope-filled of ways: forever. 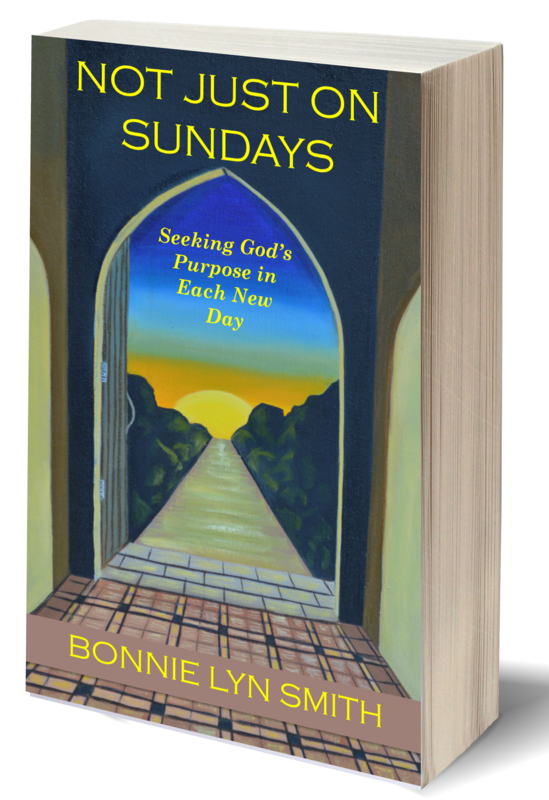 More stories of how tender a relationship God offers us through His Son Jesus can be found in the recently published Not Just on Sundays: Seeking God’s Purpose in Each New Day. 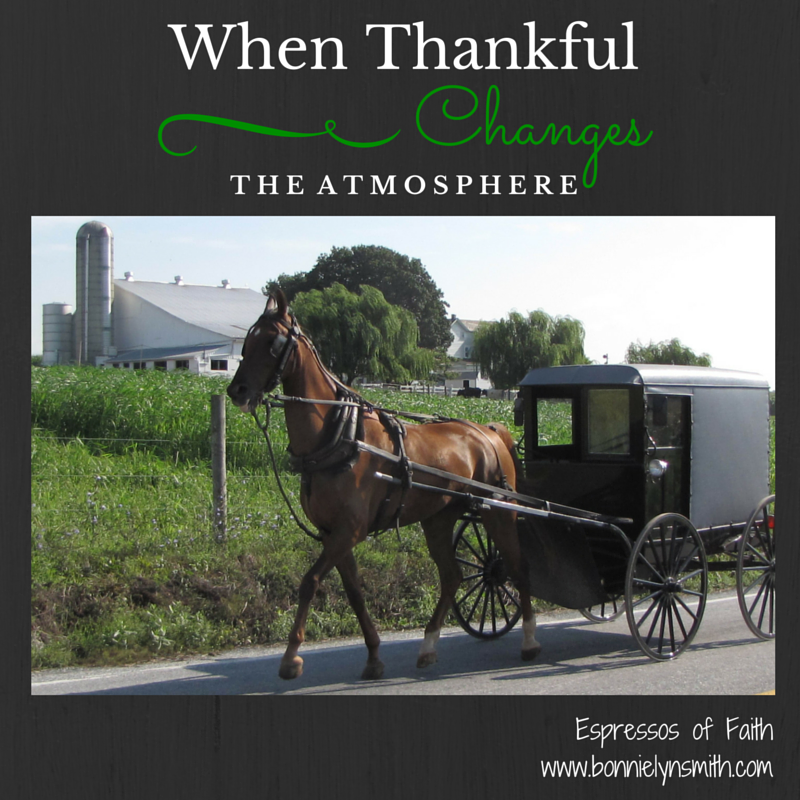 This blog has been shared at Christian Mommy Blogger and Pick Your Pin Tuesday.